There is no formula to my family Thanksgivings except for family, food and love. The traditions have evolved through the years and change all the time as we lose and gain family members. You learn to keep it loose and fun, being thankful for the chance to even plan whatever you’re doing. When I was little, we drove to my grandparents home in Oklahoma City to have dinner with my aunts and uncles and cousins. 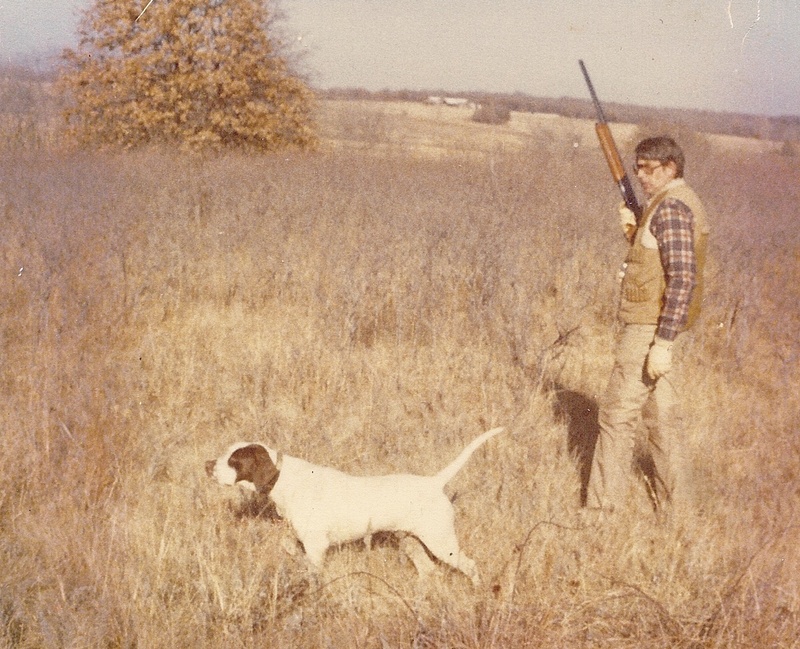 My father and grandfather would go quail hunting in the early morning while dinner was being prepared. The hunting goes back to Kentucky where both of them were born. My grandfather and his brothers always had dogs and hunted, bringing home all kinds of game for the family to enjoy. Those Kentucky burgoos were born of those Kentuckians hunting long ago. As my generation of the family grew up, one of my cousins married a man who lived in Chandler, hunted and had property for the hunting. My husband learned to hunt from my father, growing to share his love of working the dogs and walking the fields in the early mornings and later in the afternoons of fall, bringing home the birds for delicious dinners later. For several years, the Tulsa relatives met the Oklahoma City relatives in Chandler, repeating the routine of hunting in the morning and then dinner. Football in the afternoon was added about that time and our family continued to grow and add to the memories. I forgot to mention the awkward years when we were first married and tried to go to both family Thanksgiving dinners, coming home exhausted and way too full. We all make that mistake when living in the same city. You can’t please everyone. You just can’t. At some point, there were moves and changes and the families stayed in their own cities, each gathering their own on the holiday. At our house, the routine was pretty much the same with us going to my parents. My in-laws had moved out of town, so we spent some holidays with them. When home, the hunting, food, football tradition continued. We had added the tradition of walking to nearby Utica Square for the Lights On celebration in the evening, a good way to work off the big meal. Through the years, we’ve lost all our hunters, adjusted to some family members going different ways, sometimes go to a movie on Thanksgiving night, added recipes, kept the ones we like, still set the table with our best crystal and china and silver, even though we come dressed casually. The grandkids play football or hang out, the adults sit back, and we all get lazy. For the past decades, Thanksgiving was one of my favorite holidays. Even when I was working, I loved cooking all the dishes I only made once or twice a year. I had my routine compressed so it wasn’t too exhausting and I loved the early morning, alone in the kitchen getting everything ready for the kids to come over. It was a comforting time of year where I could count my blessings quietly. Today, I’m thankful for my healthy, happy family. We’re about to change as the grandkids start leaving for college and there will be new members added and our family will begin to grow again in the not too distant future. I’m so grateful to be here to see it all. In our family, the traditions are family, food and love. What else do you need for a great holiday?